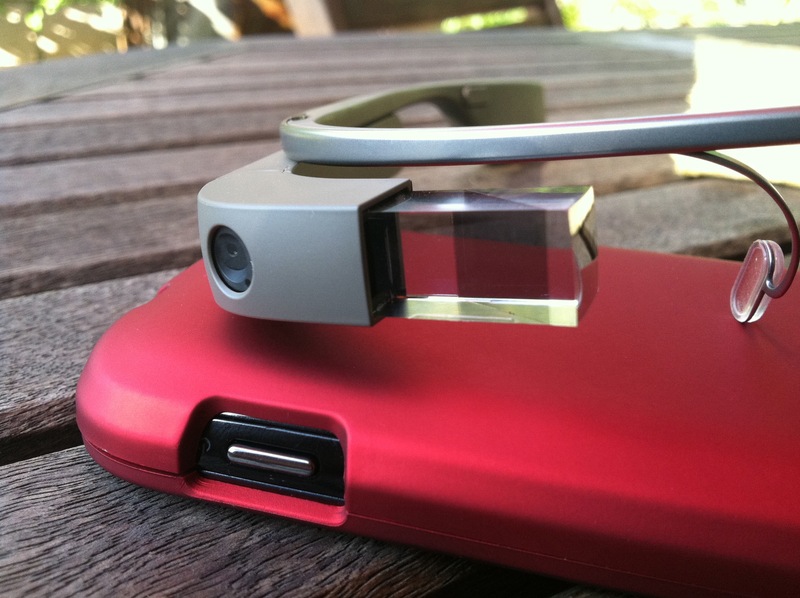 Google Glass – what would you do with it? Does that seem like an odd question? You know Google as the big Kahuna, the most used web search engine in the world. In fact you probably use Google Search and web tools every day – I do. So what’s the deal with Google Glass? Think Trinity from the Matrix movies. Remember when they download directions for flying a helicopter directly to her brain – that’s Google Glass but with real time, real world application. Well maybe that’s a little embellished but you get the picture. Google Glass lets you access and share what you need to know, whenever and wherever you need it – without your computer, tablet or smartphone. Google Glass is wearable technology that literally puts information before your eyes. This past week Google launched its Glass campaign, providing more detail about the actual glasses. Watch the video, you’ll quickly understand the concept and start thinking of ways to use the technology. They’ve also launched a contest enabling people like you and I to put the technology to work in real time, real life situations. The catch is you have to earn access to Google Glass and buy your own pair at $1,500 a pop. Personally I’m all about real time, I want to have the collective knowledge of the world at my fingertips. I want to share information that I have with other people, when they most need it. I’d like to see communication and knowledge sharing be as simply and easy as well… a Google web search. So absolutely I’d submit a 50 word #ifihadglass entry and I’d pay for the glasses. Watching the Google video was a good place to start, it quickly got me thinking about different applications for the Glass. Could it help the world be greener? I think so. We recently put in a large organic vegetable garden, how cool would it be to get advice from more experienced growers. To share what I’ve learned with other people – anywhere in the world – who want to be backyard growers. Could we start a Google Green Glass revolution, could we bring together a global group of backyard farmers that spurs us to eat more veggies and use fewer pesticides? I believe we could. Those involved in animal rescue understand the need to rapidly share information and mobilize the rescue community – the life of an animal depends on it. Imagine sharing information about a shelter dog across your vast network of volunteers while you’re giving that dog some much needed love and attention. You could have your rescue army mobilized before you even leave the shelter. Google Glass photo and video capturing capabilities used with on-the-spot sharing would bring greater speed and broader reach to the global rescue network and just think what that means for the dogs, cats and other animals sitting on the bare cement floor in a local shelter. Healthcare just might be the ultimate use for Google Glass. Being a health care professional I can see endless possibilities and uses. A group of us from the Google Healthcare Talk Community have been brainstorming how to put Google Glass to use in the health setting. Imagine being diagnosed with a serious illness. Simply understanding everything involved with your care and treatment can be overwhelming, now go to a medical facility that covers 5 city blocks and figure out where to go for your lab work, x-rays and doctor visit. Could Google Glass help a patient navigate the hospital? We think it could. Could Google Glass benefit the health team providing care in a Patient-Centered Medical Home (PCMH)? It’s hard to think of a way Google Glass wouldn’t be a benefit. Coordinated care is a major focus at a PCMH, accessing and sharing information across specialties and between health settings is critical to maximizing patient outcomes. Google Glass facilitates this process. The list could be endless… imagine using Google Glass as a tool for real time information sharing during a global health crisis or as a means of capturing detailed audio and visual documentation during a procedure. I’m sure you get the picture; Google Glass and healthcare are natural partners. Watch for our #ifihadglass submission. If we’re fortunate enough to be selected you’ll see our Google+ Hangouts used to brainstorm real world healthcare applications for Google Glass. The goal being to identify a short list of immediate uses for the technology, put the Glass to work in these health settings and document along the way. Creating a blog and video resource for everyone involved in health care and starting point for the use of Google Glass in the health setting. Do you have a healthcare related use for Google Glass? Or perhaps you think it shouldn’t be used in healthcare? We’re interested in your feedback, tell us what you think. Update March 27, 2013 – Super excited, just got the invite to join #glassexplorers!